Tabasco Sauce and Rice! 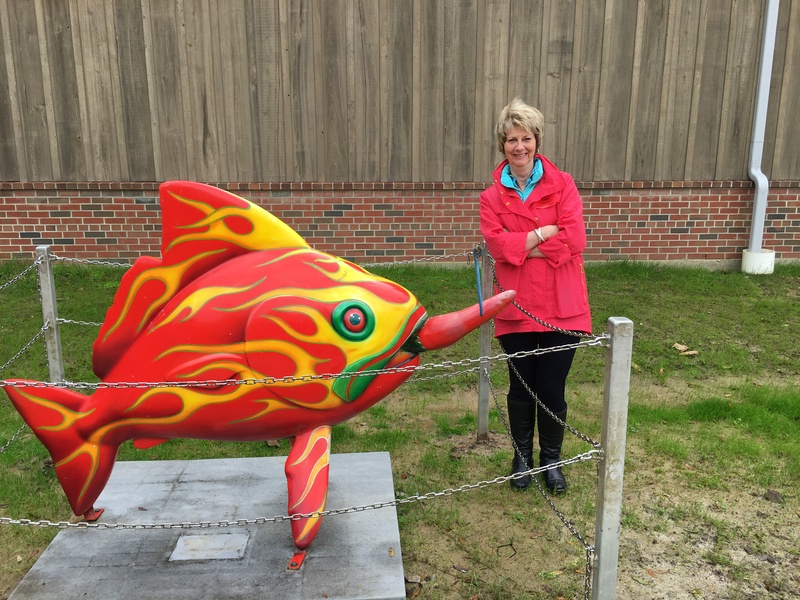 – Let's Go RVing! A pretty cool day, cooler than I had anticipated and rainy so we decided to take a couple of inside tours today. We started with the Tabasco Company. It is located on Avery Island which is actually a salt dome. The Garmin GPS and Waze took us on a real roundabout way but we saw some interesting landscapes of South Louisiana. Many houses are up on stilts which we are used to because of living on a river but the interesting thing was the garages were also up in the air with ramps leading to them. The land here is extremely flat and when it rains apparently there is nowhere for the water to run off. Although it rained last night it wouldn’t have caused all of the standing water and mud we saw if there had been some place for the water to go. Jerry made another interesting observation about Louisiana. He said the speed limit signs must just be suggestions because no one seems to abide by them. We do! Tabasco tours had been suspended while some sort of update was done but fortunately for us they reinstated the tours this week. 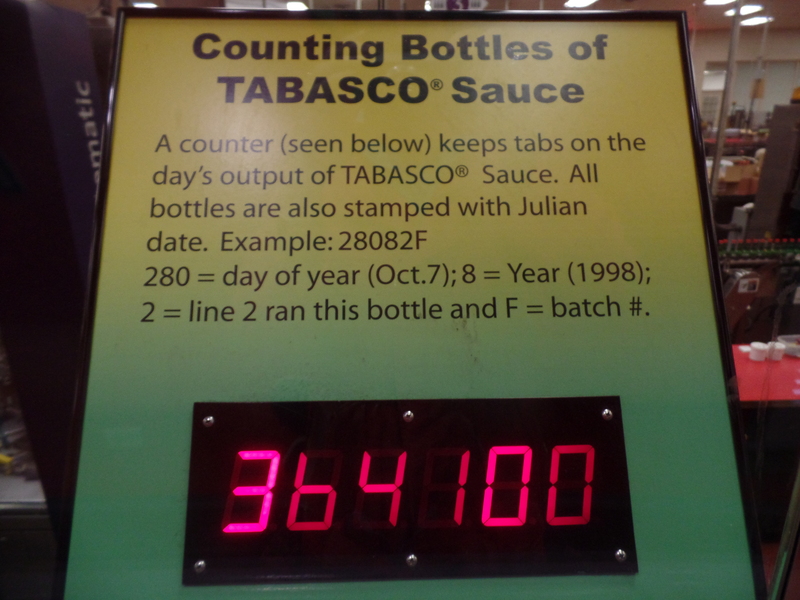 We began with the Tabasco store which was full of souvenirs, shirts and Tabasco sauces ranging in price. Jerry said this was the first souvenir store we’d been in that had several things he’d like to buy but we decided to wait until after the tour. 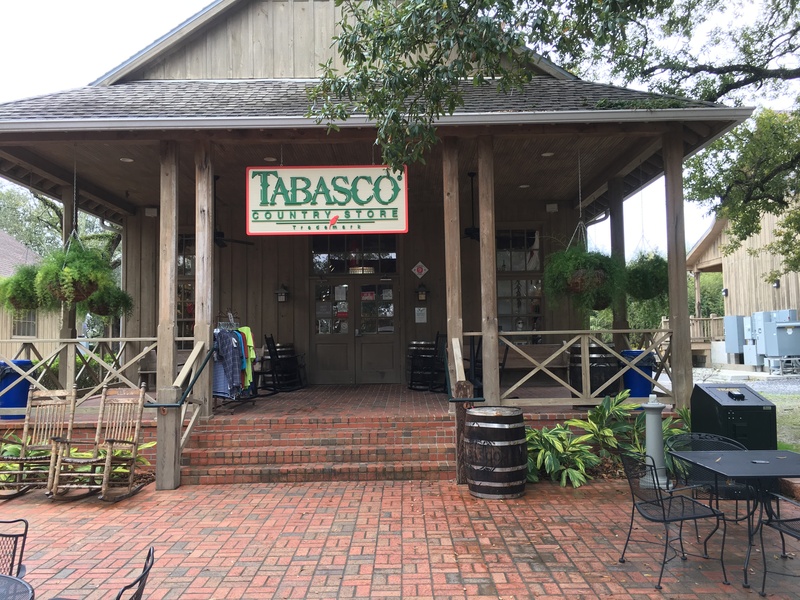 We went to the museum, bought the inexpensive tickets and walked around reading the history of Tabasco Sauce and the McIlhenny family who founded the company and still operate it today. Our next stop was the wonderfully warm greenhouse that held jalapeno, habanero and red pepper seedlings. Next we went in the barrel rooms where we watched a short video on the preparation of the barrels. 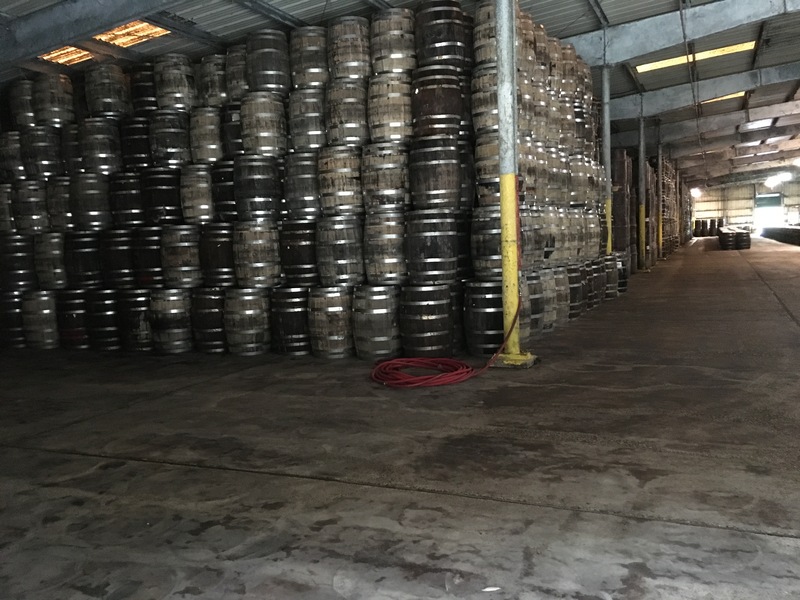 Then we looked into the warehouse that held the many, many barrels. Our next stop was the building where the mash was added and then we went into the building that held the bottling process. Before entering the processing part of the building we read some more of the history and then walked through a mock salt mine. It was amazing to watch as a worker systematically removed bottles that appeared to hold less than the required amount from the line. Next the bottles were capped and then sealed. There was an automatic counter that kept up with the number of bottes produced each day. When we were there 364,100 bottles had been bottled and stamped. While I took the picture and put the camera down 100 more bottles were completed! The entire tour is self-guided with a lot of information. It certainly was a great way to spend a rainy day. After the tour we went to café and had lunch. We only got a hot dog but on the table were the various kinds of Tabasco Sauce so we sampled most of them. Our favorite was the sweet and spicy and I ended up eating it on my potato chips. Our lunch cost about $15 and we got two free coozies which sell for $8 in the Tabasco store. Umm, maybe we owed them $1! We had also gotten four free bottles of sauce, albeit small when we purchased the tour tickets. Tours of the Tabasco plant are a real deal! After lunch we went back to the store, bought the ubiquitous magnet for the fridge and each of us got a shirt. Also on the grounds are the Jungle Gardens, a 170 acre garden with many examples of wildlife, flora and fauna. It was such bad weather though that we decided to skip that part. Apparently Gypsy and Waze rested while we were in Tabasco because when we programmed New Iberia in we went a much simpler and direct route. Go figure. 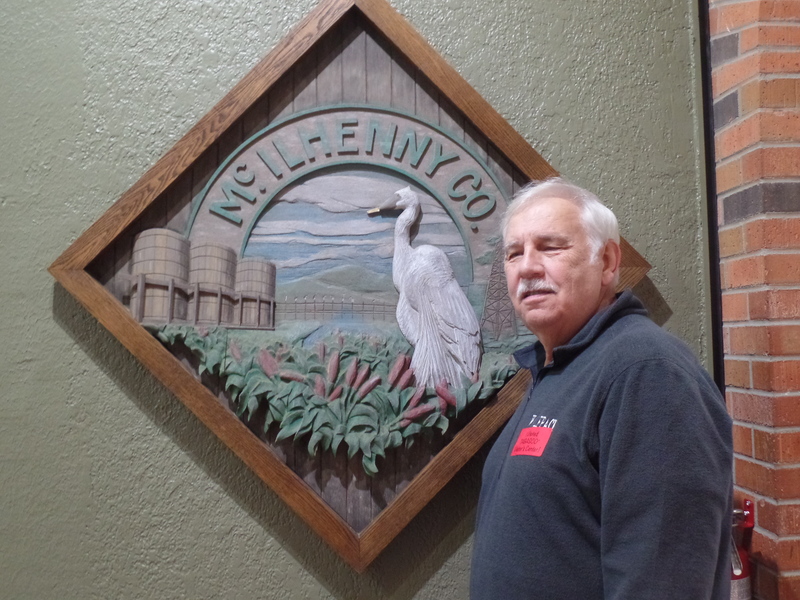 Our next stop was the Conrad Rice Mill and the Konriko Rice Store. We had a few minutes before the tour so we wandered around the store and bought another magnet. We watched an interesting video that explained the Acadian culture and the rice company. We then went through the building where the rice is delivered from the farmers and then processed. Some of the equipment in use is original. That’s amazing considering that the company was started in 1912. The original part of the mill was built in 1914 and received additions in 1917 and 1930. 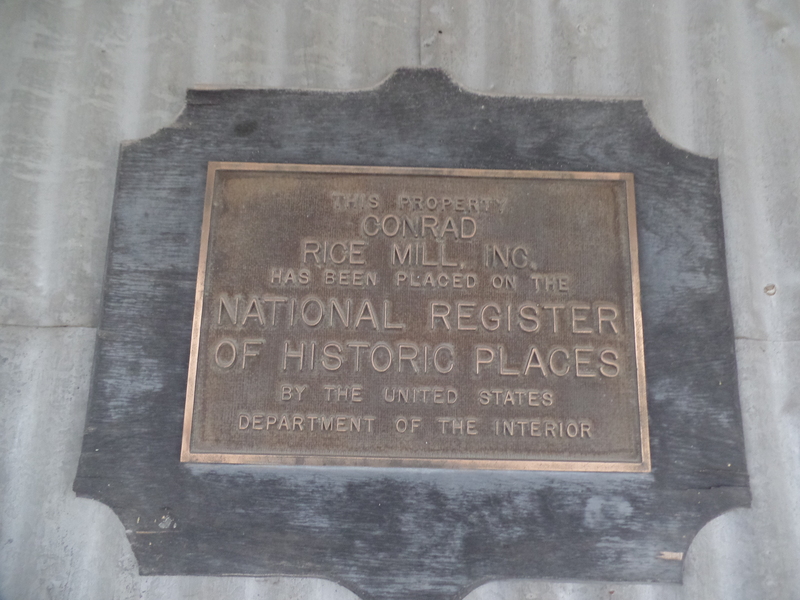 In 1981, the Mill was placed on the National Register of Historic Places thus ensuring that no structural changes would be made to the building. Actually, it appeared that the building was in the center of town surrounded by other businesses/buildings so there appeared to be little room for expansion. We stopped by the grocery store on the way back and then headed into the Happy Hour at the park. We have met some of the nicest people on this trip and they keep encouraging us to abort our planned trip and spend a few more days here. Our four days have already turned into eight but unfortunately that will have to be enough as we have reservations somewhere else on Sunday. Betty’s RV is everything that the reviews said it would be. They make you feel like family whether you’ve been there a couple of months like several others or a few days like us. Several of the couples come year after year. After the Happy Hour we came back and actually fixed dinner!